Tips for Picking, Handling, and Blueberry Recipes Too! Blueberries not only taste good, they are good for you! Blueberries are high in antioxidants. In a USDA study (Tuft's University, Human Nutrition Center on Aging, 1998) the blueberry surpassed 40 other fruits and vegetables in its ability to neutralize free radicals - particles that damage your cells in ways that lead to cancer, heart disease and the effects of aging. Blueberries also contain vitamins A and C, zinc, potassium, iron, calcium and magnesium, and are high in fiber and low in calories. Blueberries were prominent in Russian folk medicine, used as a preventative measure and cure for flux and other abdominal problems. During World War II, British Royal Air Force pilots consumed bilberries (a blueberry relative), which purportedly improved their night vision. Later studies showed a sound basis for this practice, because of the iron content of blueberries. 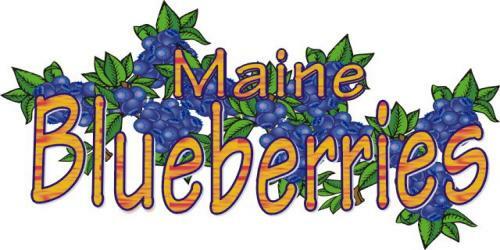 When picking, select berries that are completely blue, with no tinge of red. Blueberries must be ripe when picked, as they do not continue to ripen after harvesting. That natural shimmery silver coating you see on blueberries is desirable as it is a natural protectant. Avoid soft, watery or moldy blueberries. Keep them refrigerated, unwashed in a rigid container covered with clear wrap. They should last up to two weeks after picking. Water on fresh berries hastens deterioration, so do not wash before refrigerating. Blueberries are an excellent candidate for freezing. After thawing, they are only slightly less bright and juicy as in their original harvest state. 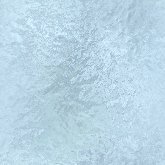 Do not wash them before freezing as the water will cause the skins to become tough. Rinse after thawing and before eating. To freeze for future cooking, place the berries in a rigid covered container with one inch of space for expansion. If you plan on serving them in the future in their thawed, uncooked state, pack them in a syrup made of 4 cups water plus 3 cups sugar, seal and freeze. For crushed or pureed blueberries, add 1 to 1-1/2 cups sugar for each quart. Frozen blueberries will keep for a year at 0o F. Blueberries are also easily canned or dried at home. There are as many recipes containing blueberries as there were shrimp recipes in "Forrest Gump". The following links to blueberry recipe collections should get you started. Please call us if you have any questions or suggestions, and we hope to see you at Crabtree's PYO Highbush Blueberries this summer. This page was last updated August 22, 2018.